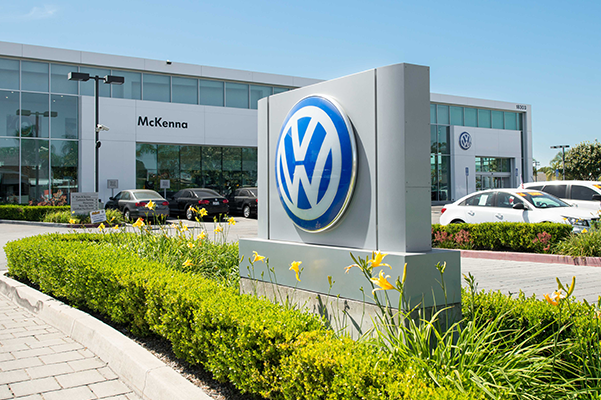 Make your way to McKenna Volkswagen Cerritos for the honest and transparent car-buying experience you deserve. 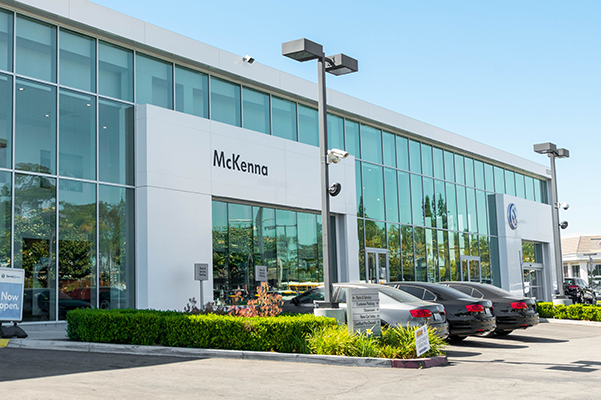 At our Volkswagen dealership in Cerritos, CA, we’re proud to be a part of the excellence that was originally established by McKenna Cars, which has been serving Southern California drivers with quality vehicles for over 60 years. Whether you’re in search of a new VW Jetta, a Volkswagen Tiguan SUV or require VW service for your Passat, we deliver first-class service and care no matter what you need. If you’re in the market for a reliable sedan to help you cruise around the Greater-Cerritos area, you can buy or lease a new Volkswagen Jetta. Our new Volkswagen inventory boasts a bevy of options, including versatile and family-friendly SUVs like the VW Atlas and Tiguan. Seeking something different? The Passat offers a roomy interior and sporty performance, or you can experience a modern take on a classic model with the VW Beetle. We also understand that most people work on budgets, which is why we have rotating pre-owned specials and a used inventory that has some of your favorite Volkswagen models available at a discounted price. Are you in need of Volkswagen repairs? Our expert auto technicians work tirelessly in our VW service center six days a week to ensure that you’re safely back out on the road in no time. From brake fluid replacements and oil changes to significant engine repairs, our auto specialists know VW vehicles inside and out. We hope to see you soon at McKenna Volkswagen Cerritos! Our family-owned dealership has over 60 years of experience. As a staple of Southern California, our owner Danny McKenna stresses community involvement and preeminent service. We offer convenient Volkswagen service hours. Our VW service department is open from 7:00 a.m. to 6:00 p.m. Monday through Friday, and we’re open Saturdays from 8:00 a.m. to 5:00 p.m.
Our Mckenna VIP Program offers exclusive savings like complimentary pickups and deliveries, onsite body shop personnel, same-day service appointments and complimentary car washes at any of our eight McKenna dealerships (excluding Sundays at McKenna VW Cerritos)! Conveniently located on the edge of the Cerritos Auto Mall at 18303 Studebaker Road in Cerritos, CA, McKenna VW Cerritos is easily accessible for drivers traveling from Lakewood, Downey and beyond.